Strategies that stand up to the challenges. Low yields and aging populations continue to fuel increasing demand for income solutions globally. PIMCO’s actively managed income strategies follow a “bend but not break” approach that has served investors well historically, providing attractive levels of income, competitive returns and low volatility. Designed for investors who need steady income with low interest rate exposure, the fund takes a broad-based approach to investing in income-generating bonds. The ability to capture diverse income sources, with a distinct emphasis on risk management, has helped PIMCO Income Fund deliver consistent monthly dividends through changing market conditions. Portfolio managers Dan Ivascyn (PIMCO Group CIO) and Alfred Murata were named Morningstar’s 2013 U.S. Fixed Income Fund Managers of the Year. Morningstar Awards 2013©. Morningstar, Inc. All Rights Reserved. The Lipper Fund Awards recognized PIMCO Income Fund, Institutional for the 10 year performance period out of 39 funds under the Multi-Sector Income Funds Classification. We believe the Income Fund has the tools to be resilient in the face of rising interest rates. Portfolio Manager Alfred Murata and Fixed Income Strategists Paul Reisz and Anmol Sinha explain the fund’s unique characteristics and how it may fit into an investment portfolio for investors eager to prepare their portfolios for a rising interest rate environment by maximizing yield and reducing interest rate exposure. WILL MY INCOME BE COMPROMISED AS INTEREST RATES RISE? 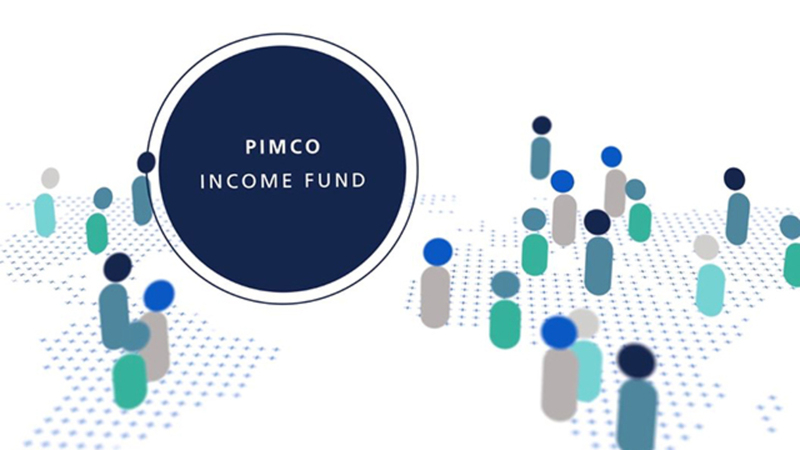 Given its sector flexibility and duration management capabilities, the PIMCO Income Fund can position for various interest rate environments. Investors should consider the investment objectives, risks, charges and expenses of the funds carefully before investing. This and other information is contained in each fund's prospectus and summary prospectus, if available, which may be obtained by contacting your investment professional, PIMCO representative, or by visiting pimco.com. Please read them carefully before you invest or send money. A word about risk: Past performance is not a guarantee or a reliable indicator of future results. Investing in the bond market is subject to risks, including market, interest rate, issuer, credit, inflation risk, and liquidity risk. The value of most bonds and bond strategies are impacted by changes in interest rates. Bonds and bond strategies with longer durations tend to be more sensitive and volatile than those with shorter durations; bond prices generally fall as interest rates rise, and the current low interest rate environment increases this risk. Current reductions in bond counterparty capacity may contribute to decreased market liquidity and increased price volatility. Bond investments may be worth more or less than the original cost when redeemed. Investments in value securities involve the risk the market's value assessment may differ from the manager and the performance of the securities may decline. Investing in securities of smaller companies tends to be more volatile and less liquid than securities of larger companies. Investing in foreign denominated and/or domiciled securities may involve heightened risk due to currency fluctuations, and economic and political risks, which may be enhanced in emerging markets. Mortgage and asset-backed securities may be sensitive to changes in interest rates, subject to early repayment risk, and their value may fluctuate in response to the market's perception of issuer creditworthiness; while generally supported by some form of government or private guarantee there is no assurance that private guarantors will meet their obligations. High-yield, lower-rated, securities involve greater risk than higher-rated securities; portfolios that invest in them may be subject to greater levels of credit and liquidity risk than portfolios that do not. Equities may decline in value due to both real and perceived general market, economic and industry conditions. Derivatives may involve certain costs and risks such as liquidity, interest rate, market, credit, management and the risk that a position could not be closed when most advantageous. Investing in derivatives could lose more than the amount invested. Diversification does not ensure against loss. The PIMCO Income Fund has issued a dividend distribution for each month since inception. No guarantee is being made that a future dividend will be issued. Morningstar Rating™ as of 31 March 2019 for the institutional share class; other classes may have different performance characteristics. The PIMCO Income Fund was rated against the following numbers of Multisector Bond funds over the following time periods: Overall 5 Stars (291 funds rated); 3 Yrs. 5 Stars (291 funds rated); 5 Yrs. 5 Stars (225 funds rated); 10 yrs. 5 stars (131 funds rated). The PIMCO Low Duration Income Fund was rated against the following numbers of Short-Term Bond funds over the following time periods: Overall 5 Stars (476 funds rated); 3 Yrs. 5 Stars (476 funds rated); 5 Yrs. 5 Stars (415 funds rated); 10 Yrs. 5 Stars (266 funds rated). Past performance is no guarantee of future results. The Morningstar Rating™ for funds, or "star rating", is calculated for managed products (including mutual funds, variable annuity and variable life subaccounts, exchange-traded funds, closed-end funds, and separate accounts) with at least a three-year history. Exchange-traded funds and open-ended mutual funds are considered a single population for comparative purposes. It is calculated based on a Morningstar Risk-Adjusted Return measure that accounts for variation in a managed product's monthly excess performance, placing more emphasis on downward variations and rewarding consistent performance. The top 10% of products in each product category receive 5 stars, the next 22.5% receive 4 stars, the next 35% receive 3 stars, the next 22.5% receive 2 stars, and the bottom 10% receive 1 star. The Overall Morningstar Rating for a managed product is derived from a weighted average of the performance figures associated with its three-, five-, and 10-year (if applicable) Morningstar Rating metrics. The weights are: 100% three-year rating for 36-59 months of total returns, 60% five-year rating/40% three-year rating for 60-119 months of total returns, and 50% 10-year rating/30% five-year rating/20% three-year rating for 120 or more months of total returns. While the 10-year overall star rating formula seems to give the most weight to the 10-year period, the most recent three-year period actually has the greatest impact because it is included in all three rating periods. Morningstar, Inc.® 2017. All rights reserved. The information contained herein: (1) is proprietary to Morningstar (2) may not be copied or distributed and (3) is not warranted to be accurate, complete or timely. Neither Morningstar nor its content providers are responsible for any damages or losses arising from any use of this information. Past performance is no guarantee of future results.